Low sugar, fat and sodium recipe book. People with Diabetes may have to watch their diet, but they still deserve easy, delicious meals every single day. Dump for Diabetics provides easy to make recipes. Simply, empty a few ingredients into a crockpot, pan or skillet and you will be savoring a tasty dinner and one that balances your nutritional need in a snap. It is a practical guide for individuals who are not versed in how to prepare dietary friendly meals. This Dumped book for diabetics can act as a map to guide you to meal success. 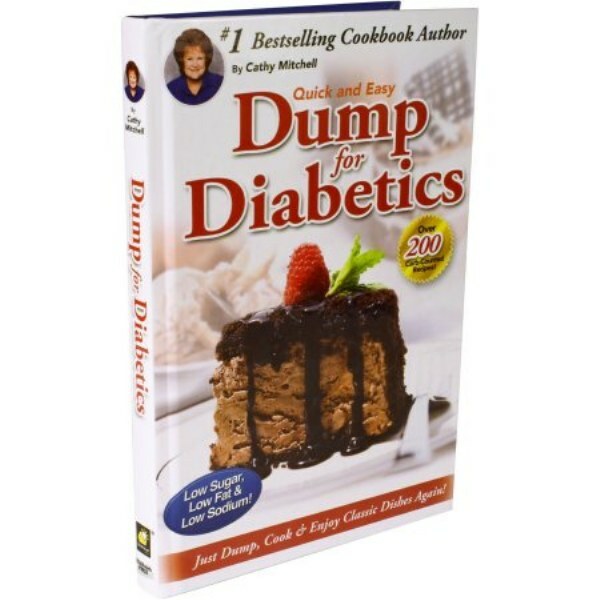 With over 200 dump dinners, side dishes and dessert recipes plus complete nutritional information for each, Dump for Diabetics helps you stay on track with your health while still enjoying traditional favorites. It gave me many good and easy recipes. Love it!